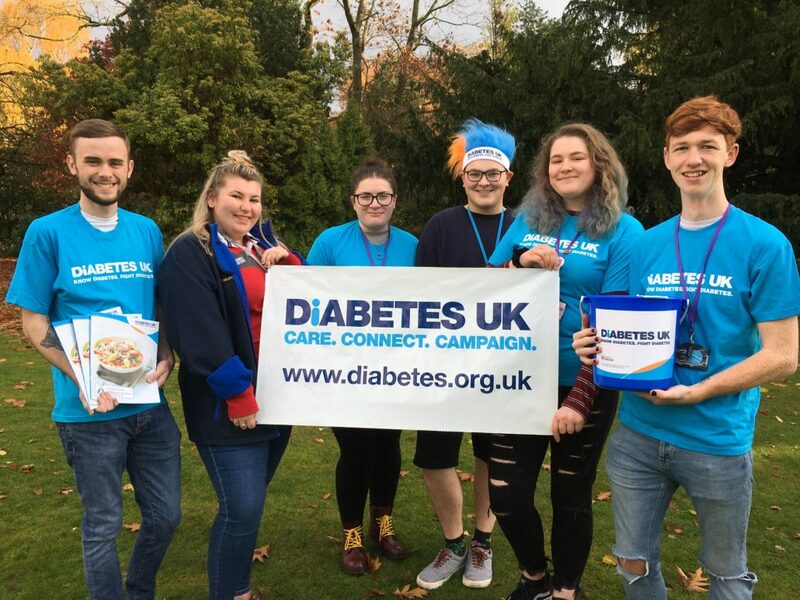 Students at Reaseheath College, Nantwich, have launched a year of activities aimed at raising funds for Diabetes UK and increasing awareness of the condition. Members of Reaseheath’s Student Association chose World Diabetes Day (Wednesday 14 November) to announce that Diabetes UK would be their charity of the year. Diabetes UK is the leading UK charity for people living with and at risk of diabetes, a condition where there is too much glucose in the blood because the body cannot use it properly. There are an estimated 4.6 million people living with diabetes in the UK. If not managed well, both Type 1 and Type 2 diabetes can lead to devastating complications including blindness, lower limb amputation, kidney failure and stroke. Reaseheath’s students, led by the Student Association, have planned a range of fund raising activities including a Christmas Ball, Santa’s Grotto, a tractor pull and collections in the local area. Staff and students will also be raising awareness of the condition and the risks of developing Type 2 diabetes across campus and in the local community. Modern cars for motor vehicle students thanks to local company Could soil analysis have helped increase your winter forage?